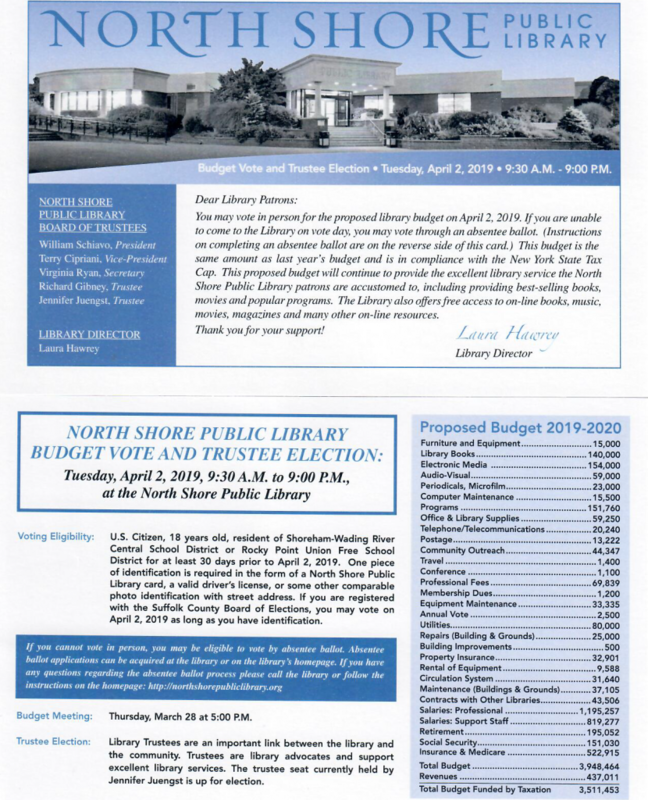 In order to get an absentee ballot, fill out an Application for Absentee Ballot and either drop off at the North Shore Public Library, or mail it to the North Shore Public Library at – 250 Route 25A, Shoreham, NY 11786. 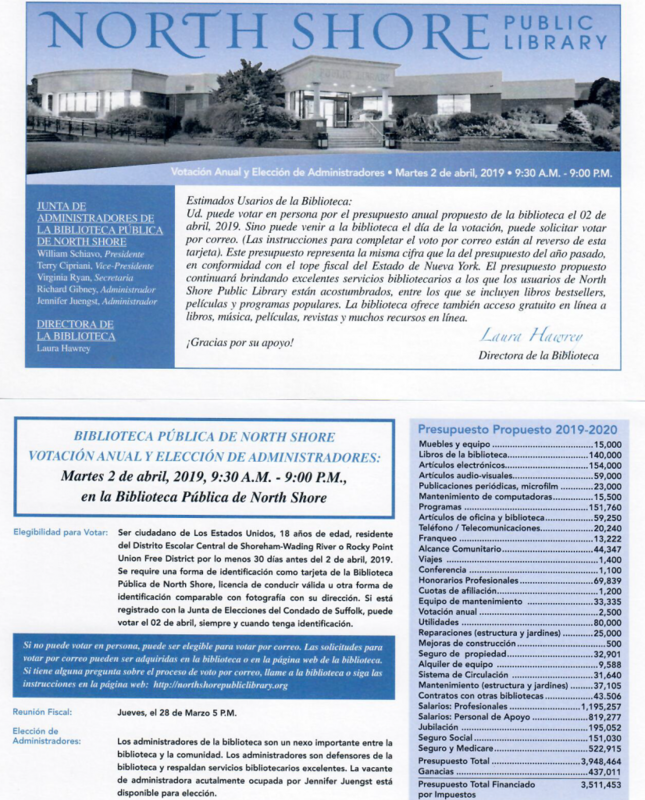 The North Shore Public Library must receive your Application for Absentee Ballot in time to send you an absentee ballot. Any questions, call 631-929-4488.